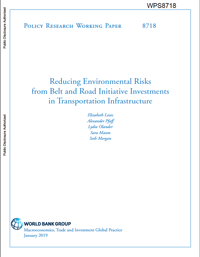 Businesses impact environmental determinants of health and can play an important role in creating integrated approaches for promoting a healthy environment. This report describes the ways in which the food/agriculture and textile sectors affect environmental conditions that are associated with health risks and assesses how companies are tracking and addressing these interconnected issues. We define environmental and health strategy integration as having corporate goals, policies, metrics, initiatives, and products that strive to improve human health through reducing associated environmental impacts. We used company communication through sustainability reports as a proxy of whether or not companies are implementing environmental and health strategy integration. We followed up with company and industry group interviews to determine the advantages and disadvantages of health and environmental strategy integration. We found that 58% of companies recognized the connection between their environmental impacts and their associated health outcomes. Furthermore, we found that 46% of companies have products, operations, or programs that explicitly connect health and environmental issues within their strategy. This shows that some companies have integrated or are taking steps toward integrating their health and environmental strategies. Our company interviews indicated that integrating health and environment strategies can lead to internal efficiencies, clearer understanding of corporate social responsibility (CSR) purpose by stakeholders, and reduced cost of project implementations. On the other hand, companies pointed out potential challenges of integrating health and environmental strategies, including greater complexity and confusion, and higher costs of larger programs. Our report reveals that integrated health and environmental action is not standard practice within companies but is recognized and acted upon by many companies. Our research found that there are potential advantages to integrating health and environmental action, suggesting that companies may benefit from moving environment and health integration toward standard practice. 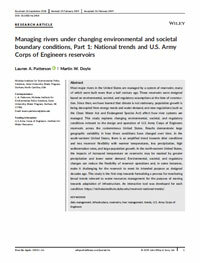 Further research is necessary to develop the business case for company integration of health and environmental strategies. We hope that this report will engender greater discussion of this topic within the business and sustainability communities. Cost-of-service states with vertically integrated utilities can manage a rapidly changing electricity sector by expanding opportunities for competition, even while maintaining the traditional vertically integrated utility. In fact, competition has been deployed successfully by cost of service states to meet customer needs, bring down costs, and encourage innovation. Building on these models, states can strategically create new opportunities for competition between utilities and third-party providers to manage the risks of a changing sector while seizing new benefits for electricity customers, utilities and third-party providers. 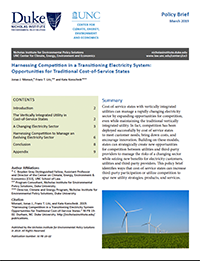 This policy brief identifies ways that cost-of-service states can increase third-party participation or utilize competition to spur new utility strategies, products, and services. 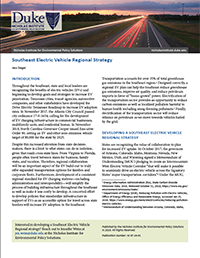 Throughout the Southeast, state and local leaders are recognizing the benefits of electric vehicles (EVs) and beginning to develop goals and strategies to increase EV penetration. Regional collaboration will be an important aspect of the EV build-out to truly offer expanded transportation options for families and corporate fleets, especially when travel crosses state lines. The development of a consistent regional standard for EV charging stations—including administration and interoperability—will simplify the process of building infrastructure throughout the Southeast as well as make it less costly to develop. A concerted effort to develop policies that standardize infrastructure in support of EVs as an accessible option for travel across state borders will increase EV adoption in the Southeast. The fight over which resources power the grid and how much is required has intensified as flattening electricity demand, low natural gas prices, and preferences for non-emitting technologies push less efficient power plants to retire. The focus has been on substantive solutions, and most recently on attempting to “accommodate” state energy policies in the regional electricity markets—with disappointing results to states, consumer advocates, and clean energy businesses. Missing from this debate is process reform. 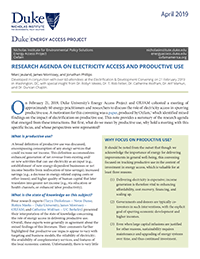 How decision-making power is balanced between state and federal regulators determines whose goals are prioritized—state environmental and economic development policies, or generator revenue sufficiency and investor confidence in the regional electricity markets, among others. 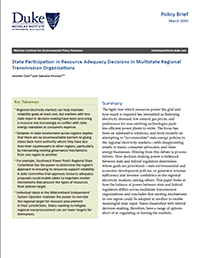 This paper looks at how the balance of power between state and federal regulators differs across multistate transmission organizations and concludes that existing mechanisms in one region could be adopted in another to enable meaningful state input. States dissatisfied with federal decision-making, therefore, have a range of options short of re-regulating or leaving the markets. Tracking and reducing methane emissions from oil and gas operations needs an innovative approach, according to new report from the C.D. Howe Institute. 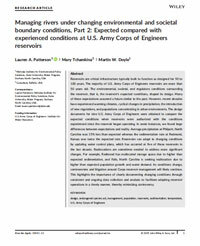 In “Measuring and Managing the Unknown: Methane Emissions from the Oil and Gas Value Chain” authors Sarah Marie Jordaan and Kate Konschnik highlight the growing pressure on industry and policymakers to address the “unknown” factor in greenhouse gas emissions and propose a regulatory approach that remains open to new technologies. 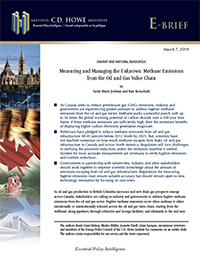 The Canadian government has pledged with its North American neighbours to reduce methane emissions from oil and gas infrastructure 40–45 percent below 2012 levels by 2025. Methane packs a powerful punch with up to 36 times the global warming potential of carbon dioxide over a 100-year time frame. However, scientists have not reached consensus on how much methane escapes from leaky oil and gas infrastructure in Canada and across North America. Over a billion people around the world continue to lack access to basic electricity, many of them unlikely to be connected to the grid for years or decades. 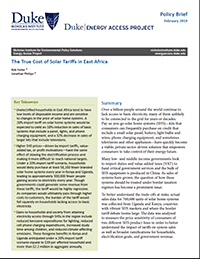 Pay-as-you-go solar home systems (SHS)—kits that consumers can frequently purchase on credit that include a small solar panel, battery, light bulbs and wires, phone charging equipment, and sometimes televisions and other appliances—have quickly become a viable, private sector-driven solution that empowers consumers to take control of their energy future.